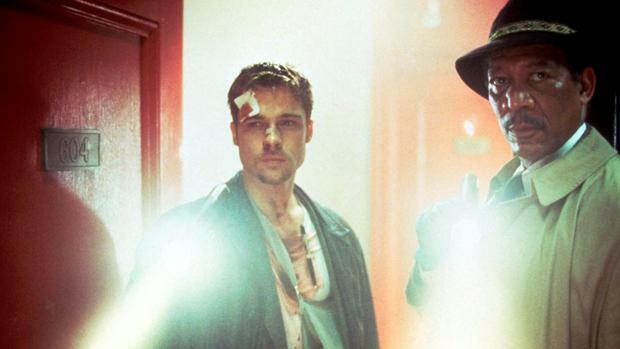 If you’re a fan of David Fincher’s beautifully bleak 1995 serial killer movie Se7en, which turns 20 this week, you probably remember just how intensely, crushingly brutal the film’s ending felt the very first time you watched it. For those in need of a brief reminder: serial killer John Doe (Kevin Spacey) has been carrying out some disturbing (but impressively inventive) murders, based on the seven deadly sins of the Bible. After completing five kills, he voluntarily hands himself in and lures detectives Somerset (Morgan Freeman) and Mills (Brad Pitt) to a remote location, where he claims the bodies of his final two victims are located. A delivery van arrives (manned by an unfeasibly punctual delivery driver, contracted by Doe to drop a package off at this exact hour) and a cardboard box is dropped off. We never actually see inside the box – but swiftly find out that it contains the head of Mills’s wife, Tracy (Gwyneth Paltrow), whom Doe murdered before handing himself in. The killer then explains that his own sin was “envy” – he claims to have been covetous of Mills’s life and family. But he also wants to provoke Mills into giving in to the sin of wrath, and committing murder. Despite knowing that his actions will complete Doe’s plan, Mills ultimately can’t stop himself from shooting his wife’s killer. There’s a horrifying, but oddly satisfying neatness to the way in which Mills and Somerset are pulled into Doe’s trap: it’s a profoundly pessimistic, fittingly dark close to an extremely dark film. 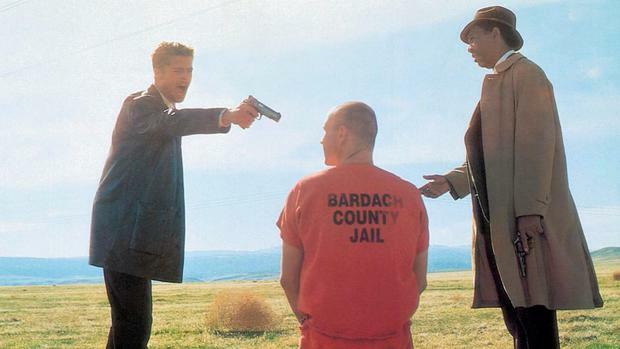 But, when Se7en was in development, apparently not everyone was a fan of the head in a box…. Here are just some of the endings we almost had instead. In a copy of this script, posted on Digital Spy, during the final altercation between the three men Somerset is holding a switchblade, poised to take Doe out before Mills can shoot him. Mills fires on Somerset to stop the older detective from taking away his chance for revenge. The studio originally felt that the head in a box ending would alienate audiences, and instead proposed a more traditional climax, in which Doe kidnaps Tracy, and Somerset and Mills manage to save her life after a last-minute race against time. Luckily for future audiences, both Fincher and Pitt stuck to their guns, insisting that this was not going to happen. Yes, this ending sounds like a bit of a joke – or like a Se7en YouTube parody. 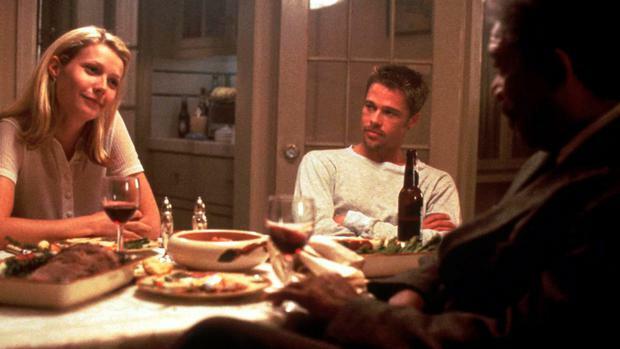 But according to Brad Pitt, at one point the studio seriously considered putting the head of Mills’s dog in the box, rather than Mills’s wife. “With Se7en, I said, ‘I will do it on one condition – the head stays in the box. Put in the contract that the head stays in the box.’”, the actor told Entertainment Weekly in 2011. While most of the alternate endings we’ve listed so far are at least sort-of linked to the final version, an alleged early version of the script (you can read it here) featured a dramatic different finale, set in a burning church. In it, Doe manages to string Mills up with some sort of rope arrangement, carving a cross into his chest before finally shooting him (although he still cites his “envy” of Mills’s domestic life as his motivation). Somerset then shoots Doe in retaliation..
Later on, we see Mills’s funeral, after which a heartbroken Tracy decides to leave town – Somerset promising her he’ll stay in touch, and telling her to “look after herself and the baby”. This isn’t, strictly speaking, an alternative ending – but, according to CinemaBlend, when the studio was deciding between the “Somerset kills Doe” ending, and the “Mills kills Doe” ending, they decided to quickly shoot a test version of the latter, cutting out any overly dramatic moments. This test ending proved so popular with the test audiences, the other plan was quickly scrapped and never shot. While Fincher eventually got his way about the head in the box, and about Mills being the one to kill Doe, the studio still insisted he include the film’s grimly optimistic final scene, in which Somerset, referencing an Ernest Hemingway quote, muses: "'The world is a fine place, and worth fighting for'...I agree with the second part." Fincher, who has made no secret about disliking this ending, instead wanted an instant cut to black – and a drawn-out silence – after Mills shoots Doe.